While the bars of London, New York and San Francisco perennially top many “world’s best” lists, Chicago has recently jostled into position at the big table. The Violet Hour and The Aviary have both won James Beard awards. In 2014, The Aviary’s Charles Joly was selected as the world’s best bartender by the Diageo World Class competition. While Chicago has an abundance of fantastic libation options, here are a few in the “Don’t Miss!” category. Helmed by the majestically bearded Paul McGee (he of Plantation O.F.T.D. Overproof fame), Lost Lake has joined the ranks of the world’s best Tiki bars in its two short years. While the décor is more modernist and refined than Tiki temples like the Mai Kai or Smuggler’s Cove, Lost Lake wouldn’t be mistaken for anything other than a tropical watering hole. 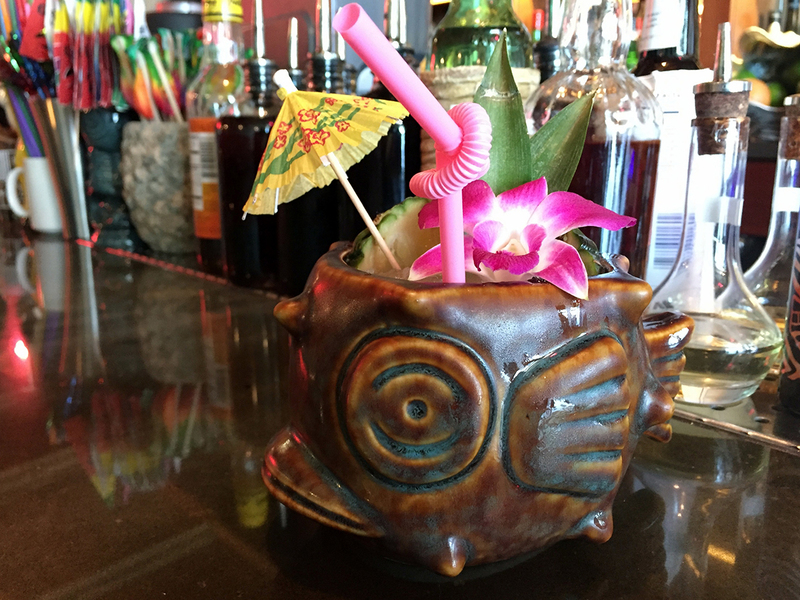 The menu leans heavily toward modern craft tiki. Recipes include “Some Days Last A Long Time” which feature Scotch whisky, sherry and coconut. Their gin-based “Heaven Is A Place/This Is The Place” tropical cocktail balances spice and fruit. And if you prefer your rum neat, Lost Lake has an impeccably curated rum collection to keep you busy. The West Loop’s Aviary bar is known worldwide for its innovative molecular mixology. Much less known is the downstairs drinks den, known as The Office at The Aviary. Sound like a speakeasy? The Office is dimly lit, the décor is old-school and the only way to score a table is via invitation. Draw your own conclusion. 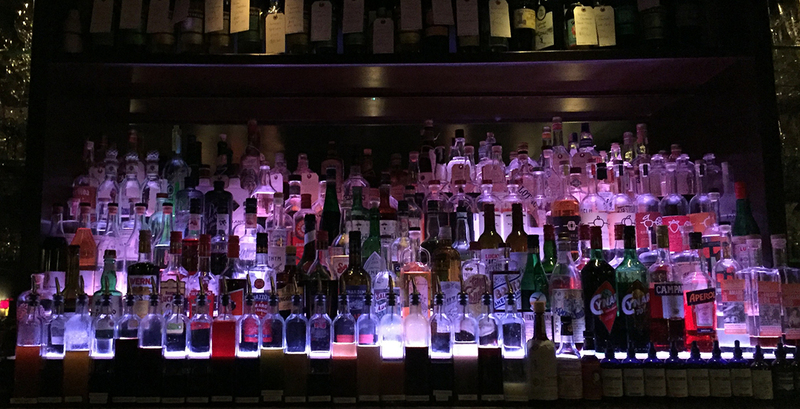 The Office’s wheelhouse is vintage spirits and classic cocktails. 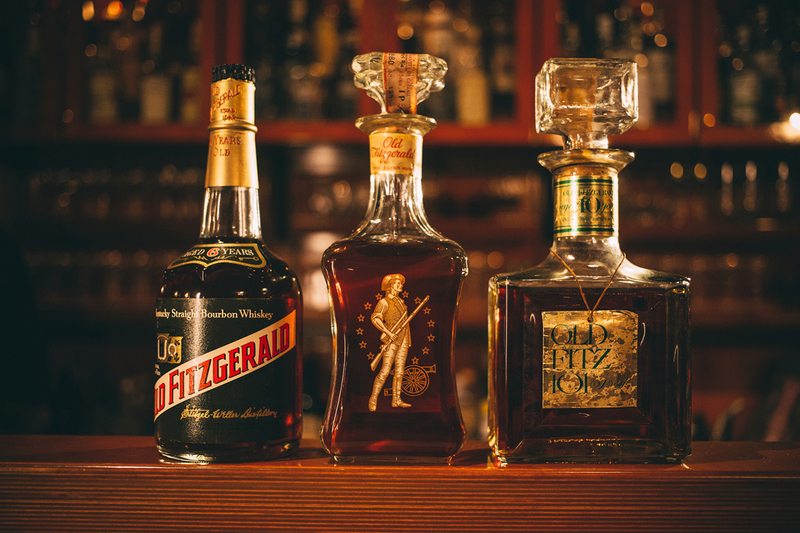 The menu hosts an impressive list of vintage spirits, including Chartreuses going back more than a century, and shelves containing seriously lust-inducing whiskies, brandies and other libations from the dusty past. While there is small cocktail menu, the staff suggests you go off-menu, starting with a conversation about what you like. The impeccably executed cocktail that soon arrives is sure to surprise and delight. Look for exotic options like 1970’s amaretto infused with 40 grams of shaved white truffles. Stellar. Speaking of speakeasies, the Milk Room at the Chicago Athletic Association hotel began as a Prohibition-era speakeasy. With just eight coveted seats, the Milk Room is Valhalla for connoisseurs of vintage spirits and the cocktails made with them. You’ll pay handsomely for the privilege, but you’ll learn an exceptional amount about what you’re drinking from their excellent staff. This frequently includes Lost Lake’s Julia McKinley or Paul McGee, beverage director for the hotel. Put yourself in the staff’s capable hands, and soon you’ll be quaffing things like a “Strawberry Smash”, containing 1970’s era Campari — far earthier than today’s version. Or you could find yourself sipping a “Boulevardier”, made with forty year-old Courvoisier Napoleon Cognac. Heads up: your best bet to enjoy this experience is to reserve online (credit card deposit required), as open bar stools are anything but guaranteed. While the giant Tiki palaces of yore are mostly only a memory (Hold tight, Mai Kai! ), you’ll find the closest thing to a modern-day Chicago equivalent in Three Dots and a Dash. It appears that no expense was spared to create a Tiki wonderland — elaborate wooden wall paneling, custom carved totems and dramatic lighting, all anchored by a grass shack bar. 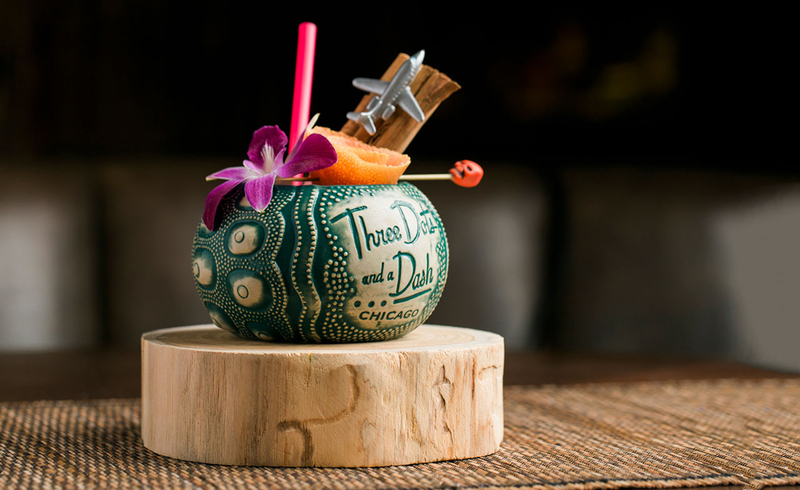 Under the guidance of beverage director Kevin Beary, the cocktails respect the Tiki traditions, but push them forward with modern techniques (where appropriate). The “Missionary’s Downfall”, with its liquid nitrogen “muddled” mint, is likely better than any other version you’ve had. Over-the-top drinkware and garnishes make every drink a visual feast, and many of their custom-made mugs are for sale as you exit near the gift shop. Located on the 18th floor of a Streeterville medical office building, The Annex is yet another small, easy-to-miss offshoot of a bigger, more famous sibling bar, Green River — a collaboration with New York’s Dead Rabbit crew. Opening an unmarked door to what might be a utility closet, you instead find a modern-day cocktail bar with a killer view. 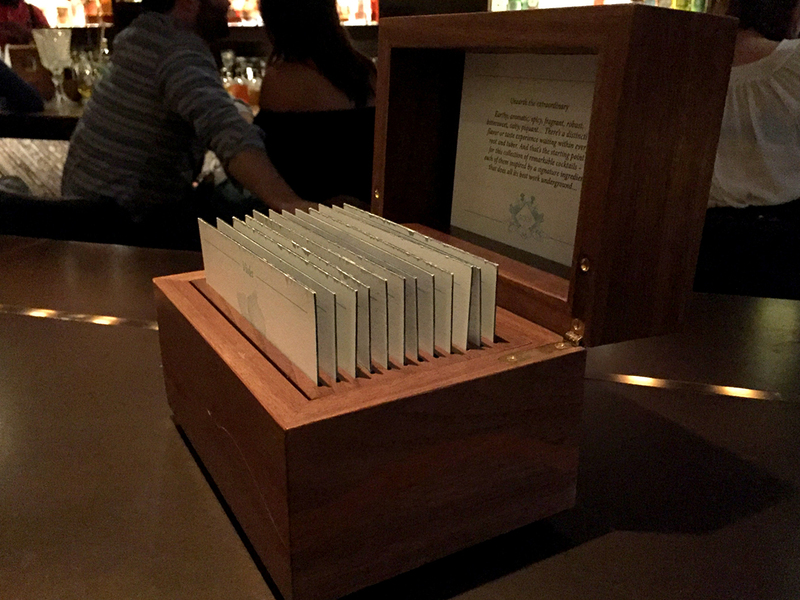 The drink menu consists of twelve recipe-bearing cards slipped into grooves inside a heavy wooden box. Each pushes boundaries, mixology-wise, so those of you always on the hunt for innovative creations will find much to keep you occupied. Take the rum and beet cocktail, “Sunday Best”, best described as red velvet cake in liquid form. Heads up: the Annex has limited hours, so check ahead before arriving. Fairly new to the Chicago scene, and possessing a highly valued late-night license (open till 4 AM! ), Otto Mezzo is unabashedly Italian to the core. And while Italy’s rich wine, aperitif and spirits bounty are the cornerstone of many classic cocktails, the Otto Mezzo staff pushes these ingredients to the front lines of modern craft cocktails. Behind a barely marked front door, the long, narrow space is an art-deco fantasy. 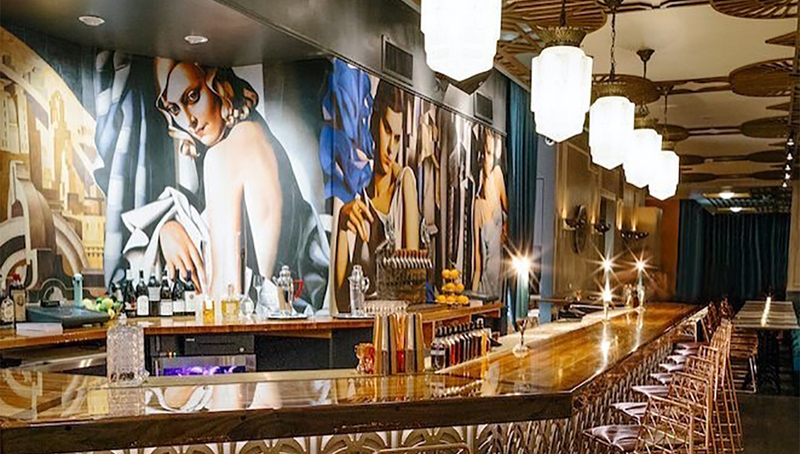 The wall murals, gleaming bar top, metalwork, and period-appropriate lighting make it easy to imagine you’re in a surreal 1930’s Italian film. The highly stylized, elegant glassware adds to the illusion. The short, nine-entry cocktail menu will intrigue even the most jaded Italian-liqueur geek. Don’t miss the Biscotti Sour! Heading to a new cocktail bar? Don’t forget to take Distiller!